We made mini Snowflakes and used them as hair accessories. But when you make small ones you need 8 points instead of 6. How big are the squares for the small snowflake? 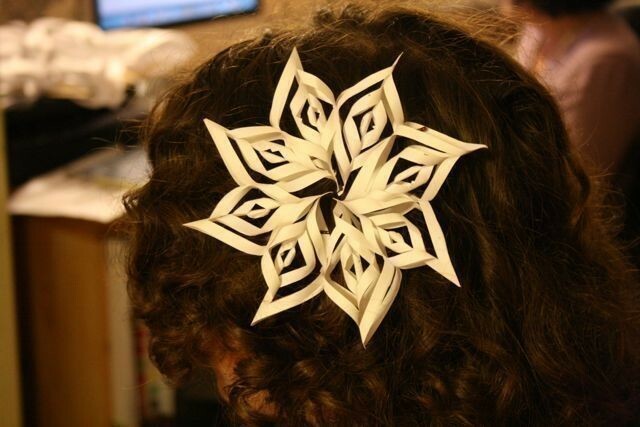 I love this snowflake it is so much fun to make. great idea- and in style at this point in type too! We used hair grips but they were still a bit mangled afterwards even though we were super careful! So beautiful! Any tips on how to attach them to your hair without ruining them?